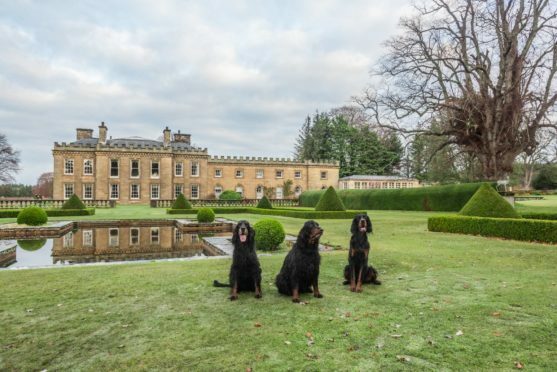 Gordon Castle owners Angus and Zara Gordon Lennox want to ensure a future for the native Gordon setter following a Kennel Club report that showed a 60% decline in breed registrations. In an effort to raise awareness of the dog breed, the couple have invited Gordon setters and their owners to join them at the Gordon Castle Highland Games on May 19 at 12pm as they attempt the largest gathering of the breed. The event will be a key feature of the games in Fochabers and will showcase the dog to the 10,000 visitors attending. Mr Lennox hopes the gathering will highlight how great the Gordon Setter is. He said: “The Gordon setter breed was developed in the late 18th century by my ancestor, the 4th Duke of Gordon, on this estate. We still have the original kennels the dogs were bred in at Kennels Cottage, now available as a holiday rental. The Kennel Club report also made bad reading for fans of other native dogs, with more Scottish breeds also declining in popularity – the Scottish terrier went down by 51% and the bearded collie 48%. With native breeds taking a back seat, foreign “fashionable” breeds have topped the popularity charts with French Bulldogs leading the way. The Kennel Club said it was deeply concerned by this trend. Caroline Kisko, secretary, said: “Some people aren’t looking for anything other than a Labrador, while others are simply looking to celebrities to affect their choice.